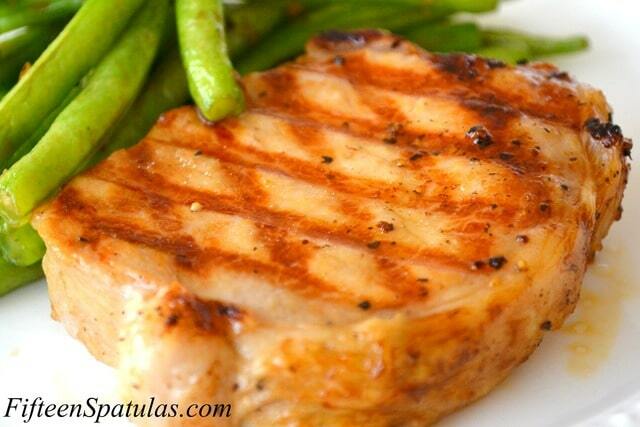 Boneless pork chops are brined in sweet tea and quickly grilled for an incredible flavor and juicy texture! During my brief stay in the South, I have noticed that one of the things you see everywhere is sweet tea. People in the South apparently can’t get enough of it. One day while I was making a brine for some pork chops, I decided to dump in a couple bags of black tea leaves. I always brine my pork so it stays succulent and juicy, and I figured the tea could only help the situation by adding a complex flavor to the brine. My husband and I were blown away by the results, and it is definitely one of my favorite ways to make pork. 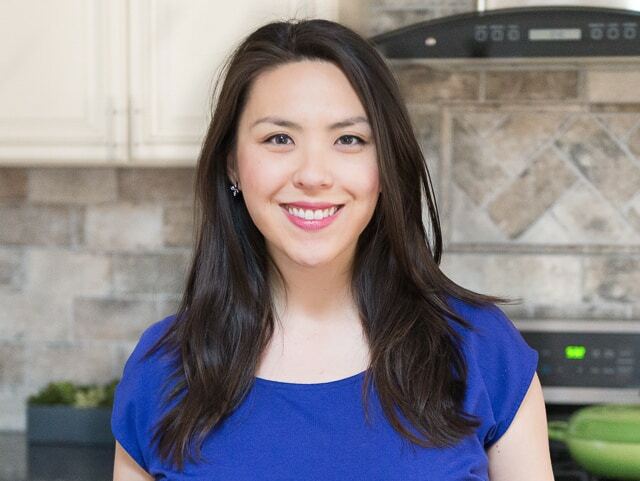 If you’re looking for an easy weeknight meal, this is one of the easier recipes I’ve got on the blog. Just make sure you brine 4 hours ahead of time to allow the brine to penetrate the meat. In a saucepan, combine the water, sugar, salt, molasses, bay leaf, black pepper and black tea bags. Whether or not you cut your bags open is up to you (I liked having the specks of tea on my pork so I cut mine open). Bring the mixture to a boil, then place the pot in an ice bath to cool. Once the mixture is cooled, add the pork chops, and stick it in the fridge for 4 hours. When the pork chops have finished brining, dry them VERY well with a paper towel. Discard the brine. 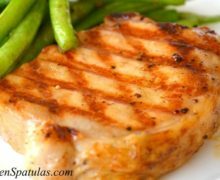 Heat up a grill to medium high heat and grill for about 4 minutes on each side (this time will vary slightly with the size of your pork chops). I like to cook them to 150-155 degrees F, and they will rise to 155-160 by the time they are done resting. Enjoy!!! This was really yummy!! Made it exactly as written!! Thanks for sharing! 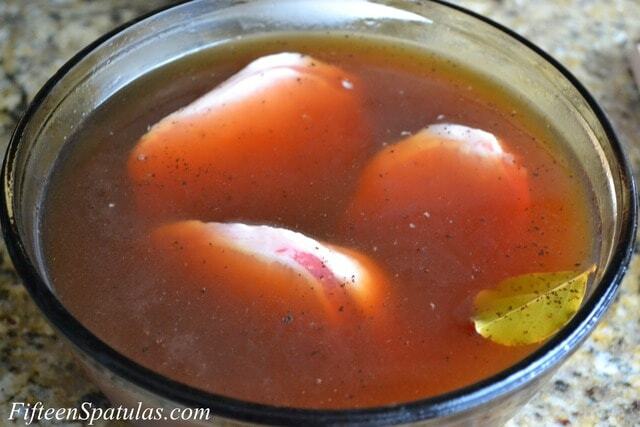 Can you brine these all day? Would be nice to prepare before work in the morning. Have made these several times and they are fantastic. Thank you! Hi Colleen, my guess is yes, however try cutting the salt content in half. Hi Rebecca, I’m so glad to hear that!